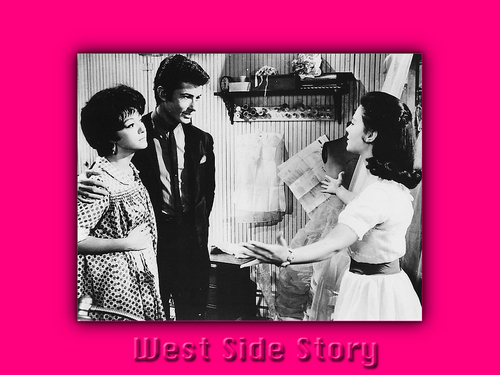 West Side Story. . HD Wallpaper and background images in the प्रतिष्ठित फिल्में club tagged: classic movies wallpaper west side story. This प्रतिष्ठित फिल्में wallpaper might contain समाचार पत्र, कागज, पत्रिका, अखबार, खपरैल, अख़बार, चीर, पत्र, चित्र, headshot, closeup, हेडशॉट, and क्लोज़अप.